Want a taste of the jet set lifestyle? It’s just a 15-minute transfer by helicopter from St Tropez to the Château de Berne, a beautiful Relais & Châteaux estate at Lorgues in the heart of Provence, which reopened in July after an extensive makeover. Pamper yourself with luxury treatments by Cinq Mondes in the new spa; put your apron on for a class in the new Cookery School; or let Chef do the work and sit down at the Chef’s table in the Orangerie. Three new rooms in Tuscan style, a kitchen garden, and an animal farm complete the hotel’s transformation. Located right in the heart of Provence, off the beaten track and at the end of a winding lane leading through the time-old vineyards of Château de Berne, Hotel***** & Spa, our five-star Relais & Châteaux featuring 27 rooms welcomes guests in a warm and friendly family spirit. Château de Berne is a 1,500-acre private estate, situated in the Var region, in unspoiled Provencal countryside between Lorgues and Flayosc. Dating back to the 18th century, it is a truly exceptional site, promoting relaxation and wellbeing around two main themes: Provence and Wine. 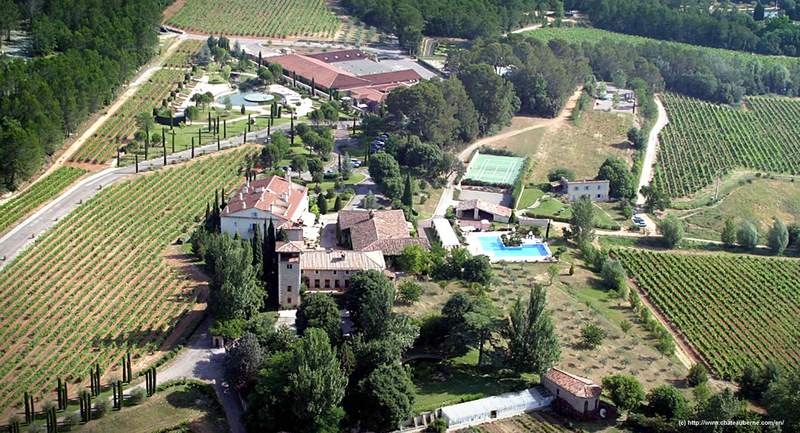 It is the ideal choice for today’s Wine Tourism travellers. Discover the estate in a different way: mountain bike rental available and professioanl tracks!